PUTRAJAYA (Bernama): The industry’s high demand for Technical and Vocational Education and Training (TVET) graduates is proving that the institution’s qualifiers are comparable to those who graduated from university. 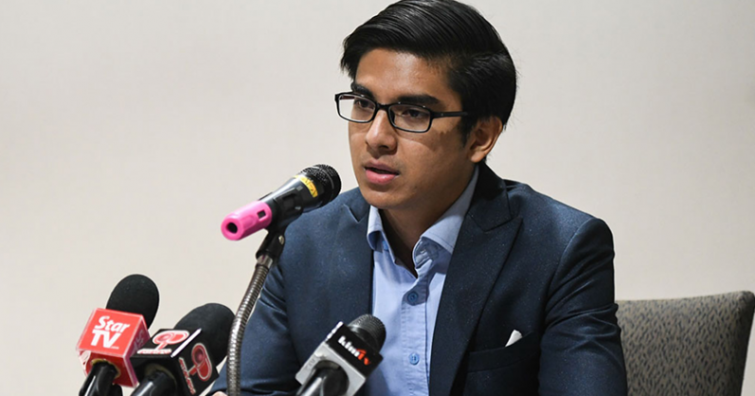 Youth and Sports Minister Syed Saddiq Syed Abdul Rahman said there’s been a change from the negative perceptions in the past which saw TVET certificate or diploma holders as ‘second class’ and unable to enter the job market which was dominated by other institutions of higher learning. “The perception stuck for a long time but today the situation has changed where we can see clearly the industry’s demand for TVET graduates is so high and significant, and even better than those who studied at universities. “This, among others, is because the TVET modules taught are planned by highly experienced experts in the industry, making the graduates really industry-driven,” he said when opening the 14th Youth and Sports Skills Training Institution (ILKBS) Convocation Ceremony at the Putrajaya International Convention Centre here Tuesday (Sept 4). A total of 5,472 ILKBS graduates from the National Youth High Skills Institute; National Youth Skills Institute; The Golf Youth Skills Academy and the National Youth Skills College received their respective certificates and diplomas. Based on the statistics, the marketability rate of ILKBS graduates had increased to 93 per cent last year from 80 per cent in 2013 with an average salary of RM1,631 a month.